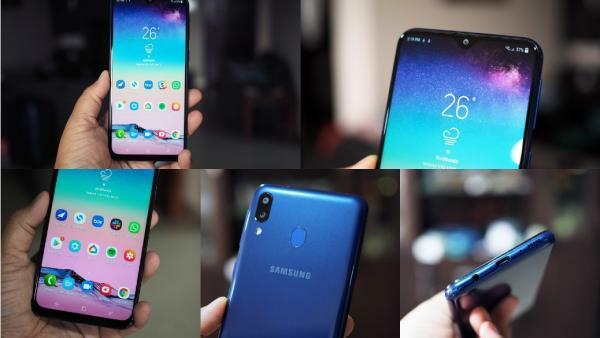 The South Korean smartphone giant Samsung has launched its latest M-series phones – Galaxy M10 and Galaxy M20 – in India. The all-new Galaxy M mobile phones have been tagged as “India first” smartphones. These have been made targeting the millennial. Both Samsung Galaxy M20 and M10 phone features Infinity-V display panels and dual rear camera setup as well. These smartphone will also come with features like face unlock and houses up to 5000mAh battery. However, Samsung’s new phones don’t come with One UI based on Android Pie. But, there is a custom skin based on Android 8.1 Oreo. Widevine L1 support has been given to enable the HD video streaming for apps like Amazon Prime Video and Netflix. These are online exclusive phones for which the sale starts from February 5 through Amazon India and Samsung India e-Store. 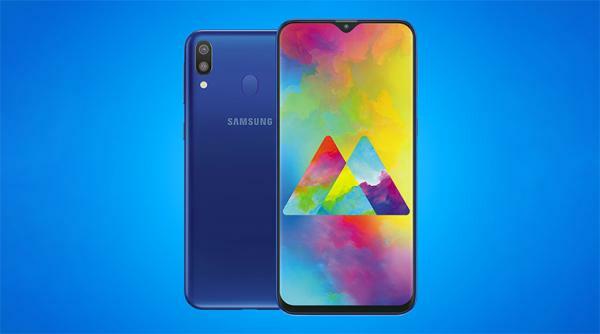 In India, the Samsung Galaxy M10 price is Rs 7990 for 2GB RAM and 16GB internal storage variant. For Rs 8990, you will get the 3GB RAM and 32GB storage model. While, the Galaxy M20 starts at Rs 10,990 for 3GB/32GB variant. The 4GB RAM and 64GB storage model is priced at Rs 12,990. Both the new M-series phone will be available in two colors options – Charcoal Black and Ocean Blue. Jio 4G customers will get an introductory offer in the form of double-date for Rs 198 and Rs 299 recharge packs. M10 is powered by Android 8.10 Oreo on top of Samsung Experience 9.5 user interface. It is a dual-SIM smartphone with a 6.2 inch HD+ Infinity-V display with 19:9 aspect ratio. It sports an Exynos 7870 SoC mated with 2GB and 3GB RAM variants. The dual rear camera setup includes a 13MP primary sensor with an f/1.9 aperture and a 5MP secondary ultra-wide sensor. On the front, it comes with a 5MP sensor. The selfie camera features include an ultra-wide mode to capture landscape and group selfies. Both the 16GB and 32GB internal storage variants are available with expandable storage options via microSD card support up to 512GB. It does with come with USB Type C connectivity option, and houses a 3400 mAh battery. It provides a three times faster charging over traditional USB connection using 15W charger that comes with it in the box. It is also a dual-SIM phone running on Android 8.1 Oreo on top of Samsung Experience 9.5 UX. M20 comes with a slightly bigger screen than M10 – 6.3 inch FHD+ Infinity-V display with 19.5:9 aspect ratio. It is powered by an Exynos 7904 chipset, paired with 3GB and 4GB RAM options. It also sports Mali-G71 MP2 GPU. The rear dual camera setup is same as of M10. But, it features an 8MP sensor with an f/2.0 aperture at the front. The internal storage options are also the same along with expandable storage option. The fingerprint scanner is present on the backside. This smartphone houses a 5000mAh battery that supports fast charging via USB Type-C.